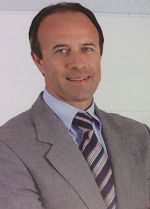 Mr Zinicola is a Consultant Ophthalmologist with special interest in Medical Retina and Vitreoretinal Surgery. He has covered a number of Consultant and research positions, including at Moorfields Eye Hospital Dubai until 2015 and was the Medical Lead of the unit since May 2014. He has since relocated to the South coast where he now practices at St Richards Hospital for the NHS and Nuffield Health Chichester Hospital where he treats private patients. He graduated in Italy and he has acquired international experience as Fellow in USA (New York), France (Paris) and UK (London, Brighton). He has worked as a Vitreoretinal Consultant since 2002. Medical Retina and Vitreoretinal Surgery. Mr Edoardo Zinicola does not hold a share or financial interest in this hospital, another Nuffield Health hospital or the company. Mr Edoardo Zinicola does not have a share or financial interest in equipment used at this hospital or another Nuffield Health hospital. Mr Edoardo Zinicola does not hold any paid advisory role(s) at this hospital or on behalf of Nuffield Health.